Enamel pots usually have a metal under-layer with an outer enamel surface. As long as the enamel coating remains intact, the pot should not rust. A rust problem may arise, however, if chips in the enamel surface occur. If you find rust on the interior surface of a cooking vessel, manufacturers generally advise that you stop using the pot and not attempt to fix it because of the risk of contaminating food. 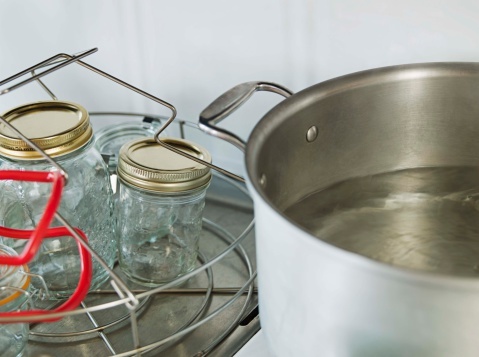 Repairing rusted enamel pots not used for cooking is a simple process, however. 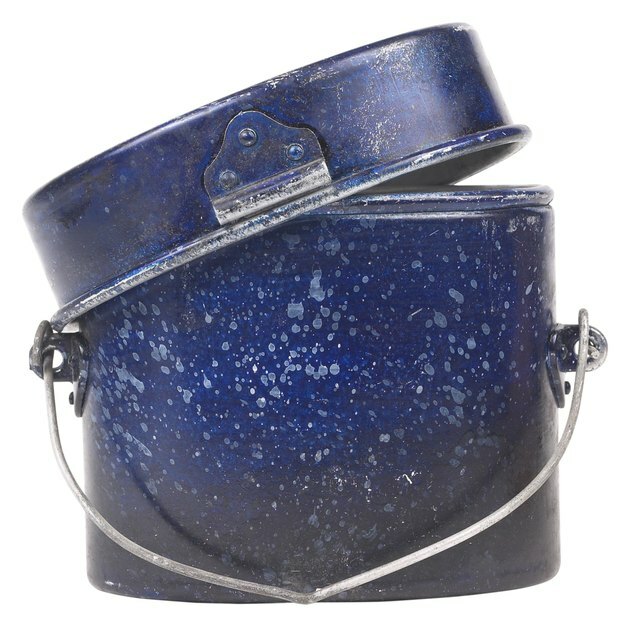 Repair the surface of a rusted enamel pot by repainting it. Sand the surface of the enamel pot with the 220-grit sandpaper to remove loose rust. Work carefully until you remove all flakes of rust from the surface of the pot. Wipe the pot with the tack cloth to remove dust that resulted from the sanding. Spray the degreaser spray over the area where you will paint. Rub the spray into the surface lightly with the cleaning cloth and then rinse away the chemicals from the surface of the pot with plain water. Dry the enamel pot thoroughly with the towel and wait one or two hours to ensure that the pot air dries completely before you proceed. Open the can of rust-encapsulating metal paint and stir the paint carefully with the stir stick. Load the 2-inch paintbrush with the paint and cover the rusty areas thoroughly with the paint. Because of the special chemical compounds present in the paint product, priming is not necessary -- you can simply cover the rusty areas of the pot with the rust-encapsulating paint and it will seal the rust to stop it from spreading. Spread the paint neatly over the surface with the paintbrush to ensure that it covers the pot in a thin layer. Allow the first coat of paint to dry for one to two hours and then apply a second coat of paint using the same application technique. You must apply subsequent coats of paint within four hours. If you miss the four-hour window, you must wait two weeks before applying another coat of paint.